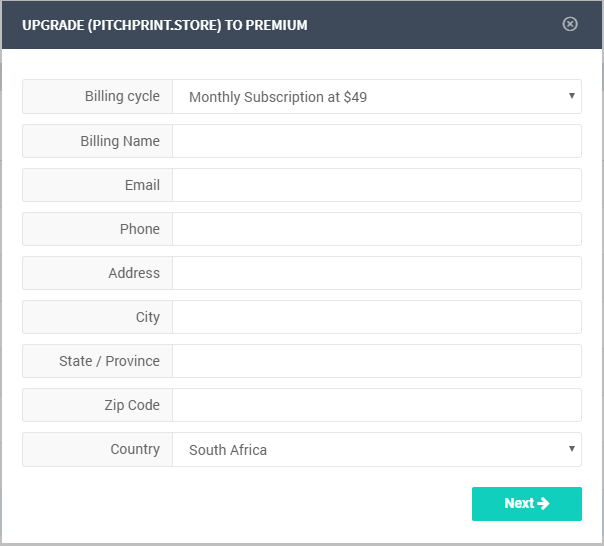 PitchPrint is built on the Software as a Service model and has two basic offerings: Basic and Premium. How to Upgrade your SubscriptionEach subscription is tied to one single domain / APIKey. And you can use one single APIKey on multiple domains. Once you have completed this step, simply reload your browser and it should show the domain in Premium. This process is automated so if there is any issue or your domain is not immediately upgraded after reload, please do send us a message and we'll check and fix any issues. 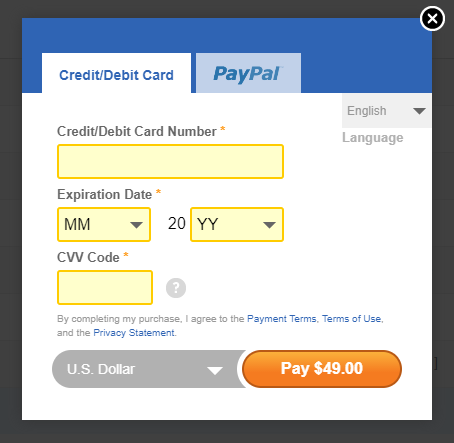 You can cancel your subscription at any time. To do that, simply send us a message with the email used for the subscription and we will immediately cancel it so you will not be billed again.